Passenger has let slipped his Australian tour dates for 2017 and New Zealand fans have a few as well. Pure Gold Live is lined up to give Sydney a Rockin’ Christmas 2016. Ronnie James Dio performed at Germany’s Wacken Festival last weekend. Eyelusion, the entertainment company behind the Dio hologram, has made the official video of the performance available to Noise11 for you. Glenn Hughes has been part of a number of different bands and projects over his 48 years as a recording artist and, with his new solo tour, he brings music from four of those bands along with his own solo work to his fans. 2017 will mark the 40th anniversary since Iva Davis formed Icehouse originally as Flowers in Sydney. While teaming up B-52s and Simple Minds for A Day On The Green is a great idea adding Machinations and Models will make it a day to remember for a long, long time. Meredith has offered yet another diverse line-up for 2016 mixing the new with the old, some borrowed, some blues. 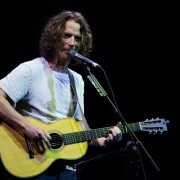 Chris Cornell says a second Temple of the Dog album is indeed a possibility. The Preatures will headline the 2016 NYE On The Hill on The Farm outside Wonthaggi. 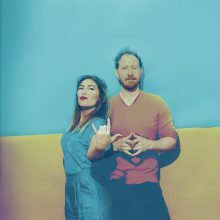 The John Steel Singers are not breaking up, they are going on “hiatus”. The second annual Melbourne Guitar Show was a stunning success. Walk-outs at Bob Dylan concerts have been frequent this year with fans leaving confused because of the large percentage of Frank Sinatra covers in each show. The Chantoozies will mark their 30th anniversary with a performance at Melbourne’s newest venue The Satellite Lounge in Wheelers Hill in September. 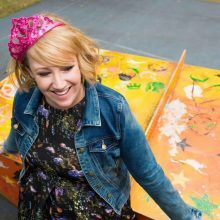 Brisbane’s Emma Louise has premiered the video for her new song ‘West End Kids’ ahead of her Australian tour in October. 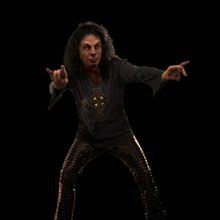 Ronnie James Dio was back in his old band at the Wacken Festival in Germany on the weekend. Mike Nesmith was back with The Monkees on Friday night and this time on stage. The Stone Roses will perform their final world tour shows at Sydney’s iconic Opera House in December. Bondi Beachfest will return for 2016 with Icehouse topping the bill. Alexisonfire returned from hibernation for a handful of dates in 2015 and will continue their activity with Australian shows for 2017. 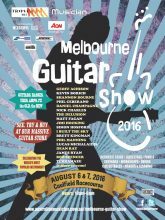 The Melbourne Guitar Show will return to Caulfield Racecourse this Saturday and Sunday. Melbourne Ska Orchestra, Camp Cope and Tash Sultana will perform at The Age Music Victoria Awards After Party for 2016. 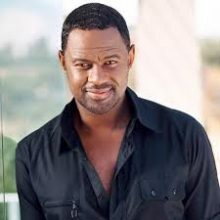 R&B star Brian McKnight will return to Australia and New Zealand in October. Southbound 2016 is heading west in December with a line-up set to be different from Falls Festival for the first time. 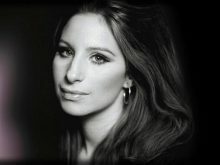 It was a big show Monday night at the Staples Center in Los Angeles as Barbra Streisand took the stage for the first of nine shows on her current tour.